Deborah A. DelSordo is a Partner in the New York City office. Ms. DelSordo joined ADM n 1994. Previously, she was an attorney with a large litigation firm in New York. She is currently a senior member of the Professional Liability/Malpractice group, the Construction Site Accident and Construction Defect teams. 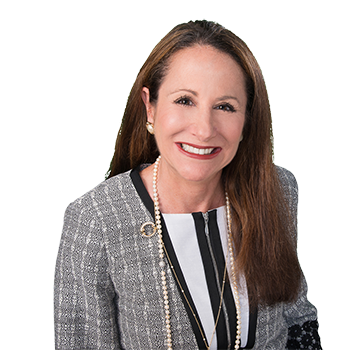 Her concentration in the areas of real estate and construction includes the defense of cooperatives and condominiums in various areas of liability including breach of fiduciary duty, breach of lease, and breach of warranty of habitability. She defends claims of construction defects, breach of contract, New York Labor Law and contractual indemnity. Her general liability matters involve employment practices, violations of the General Business Law, violations of the Multiple Dwelling Law, the defense of civil sexual abuse claims, security negligence claims, and products liability cases.